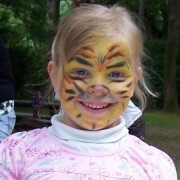 The Schulferien (summer holidays) in Germany can be a complicated matter, as they are staggered throughout the summer. So whilst some of the Länder will have broken up for the holidays in the middle of June and are now getting ready for the new school year, others start their holidays in August and only return at the end of September. To make sure that this system is fairly and evenly shared out amongst the German states, there is a formula governed by the Hamburger Abkommen, which means that different states are either early, late, or in the middle from year to year. This system can make things complicated, if you are trying to organise a larger event and have children attending from more than one state. But luckily the dates are agreed several years in advance, and it is common to find them on calendars and in diaries. However even if you do not have children at school, or are just visiting Germany, it is worth knowing when the holidays start and finish, as there are a few weekends when the motorways should be avoided. That is because the early states are on their way home whilst the later states are just starting at the same time. This weekend, for example, the northern states Bremen & Niedersachen are travelling home, and the southern states of Baden-Württemburg and Bavaria are going away. Making it the perfect weekend to avoid the north/south motorways. 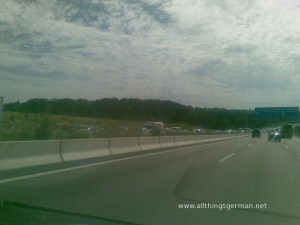 We got into very heavy traffic Saturday morning on the A3 Frankfurt – Würzburg.